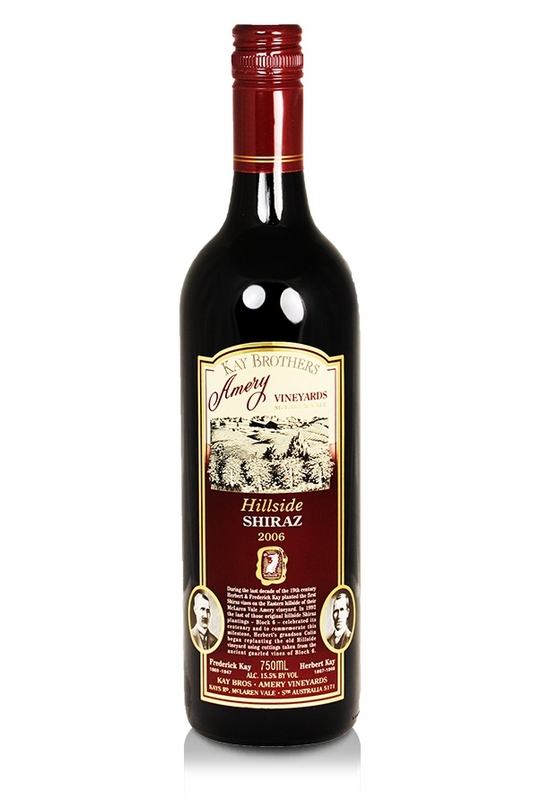 The 2006 vintage of Kay Brothers Hillside Shiraz, produced from McLaren Vale fruit, is so dark it is almost opaque, this is a huge Aussie red from the McLaren Vale super winery, Kay Brothers. Rich, full-bodied but well-structured and with great acidity, rounded tannins and a superbly long finish, this red is full of ripe dark fruits and quite a lot of spice. You will find lots of fruit, especially plums, some game and spice on the nose too. Although it is drinking well now, expect this to age and evolve at least up until 2019. This wine is highly recommended, if you like big wines then you have to give this a try. You may want to decant it for an hour or so before drinking. It will go well with a wide range of roasted and barbecued meats.